Consistently ranked among the best minivans, the new Chrysler Pacifica continues to bring an abundance of premium luxury, tech, and convenience features to Fargo area families. Get your white Chrysler Pacifica at Dakota Chrysler Center in Wahpeton today, complete with features like the class-exclusive Stow ‘n Go™ Seating and Storage System, a rear-seat entertainment system, and much more. And while there’s no Chrysler Pacifica AWD options currently available, you’ll still get confident handling, a best-in-class towing capacity of 3,600 pounds, and a Pentastar® V6 engine. Explore your Chrysler Pacifica lease options at Dakota Chrysler Center today, and then stop by our dealership for a test drive! 2019 CHRYSLER PACIFICA TOURING L PLUS!! SAFETYTEC GROUP!! Check Out Our Affordable Chrysler Pacifica Price Options Near West Fargo! 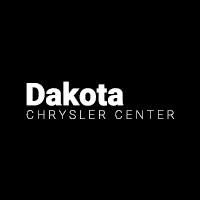 When you decide to buy a new minivan near Sisseton at Dakota Chrysler Center, you’ll be able to take advantage of a variety of offerings, including our current lineup of offers and incentives as well as the factory-trained and certified technicians in our Chrysler service department. Our doors are open Monday through Saturday in Wahpeton, and you can reach us at (701) 403-8016 to set up a test drive today!